These 5 workouts take you from inexperienced beginner to intermediate levels, and focus on the addition of volume, intensity and advanced training techniques. The following 5 biceps workout routines are provided as examples of how to build volume and intensity over time. Beginners start basic, with low volume and a focus on progression. More advanced lifters who have already built quite a bit of strength will utilize more sets, and techniques such as rest pause training and slow negatives to assist with advancing the muscle building process. Frequency – 2 workouts per week, with at least 2 rest days between workouts. Duration – 3 to 4+ months. Focus – Improve exercise form, build stabilizer strength and progress in weight when possible. 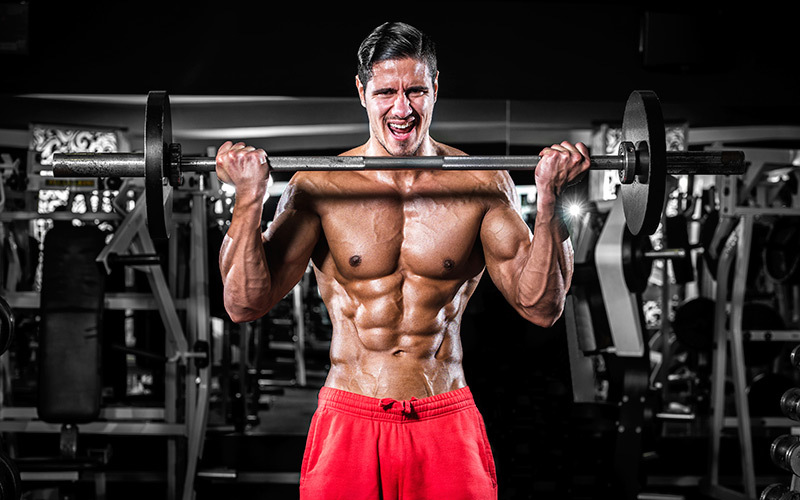 Approach – Low volume and strength building in the muscle building rep ranges of 10-12 reps per set. Remember – Beginners do not need volume or advanced training techniques to build muscle. They have muscles that are ready and willing to grow as long as they are challenged. Resist the urge to add volume just yet.